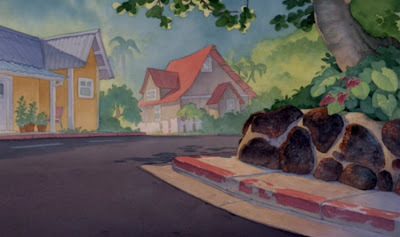 This contemporary Disney film was one of the last successful "traditional" Disney animated features. 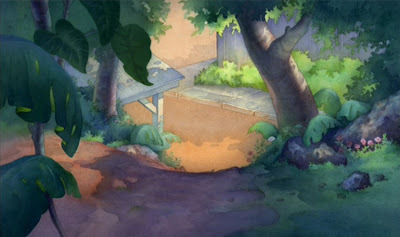 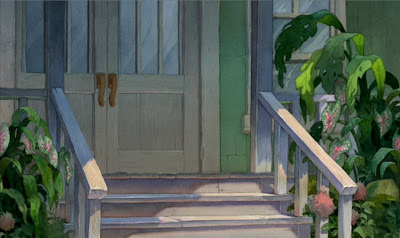 These first few backgrounds show a definite stylistic link to the classic Disney style. 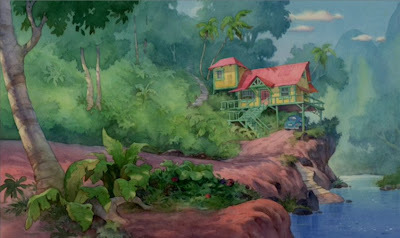 There are definite tropical echoes of "Hawaiian Holiday" (1937) and "The Jungle Book" (1967) in the artwork. 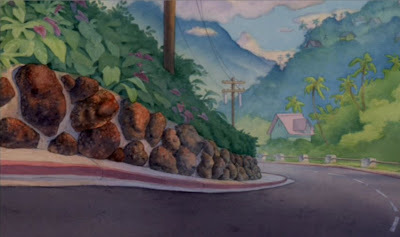 The lush, native Hawaiian landscapes are beautifully rendered, immediately invoking the warmth and charm of the Polynesian islands.